Due to the rapid development of industry, the amount of industrial wastewater and water pollution is a serious problem for environment. Along with the economic development, the complications of wastewater treatment and drainage have been raised. For examples, textile printing and dyeing wastewater as model system, we utilized natural nano-composite filter adsorption test under different concentrations of dye liquid, different times with nano-composite powder, and observed the solutions with spectrophotometer. The manufacture of natural nano-composite filter was from a variety of mineral flour in accordance with the specific proportion of ore combination, and its inside appearance was like a sponge structure with many nano-sized pores, which increased its adsorption capacity. 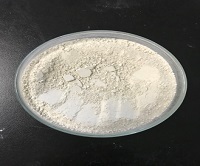 The production procedure of this natural nano-composite was much simpler than activated carbon, and the failure rate is relatively low, so the cost is lower twice than functional activated carbon. Because it is made of natural mineral powder, it will not cause second pollution to the environment. The final results show that methylene blue and no.257 black dye adsorption capacity of natural nano-composite filter was more effective in high temperature 55℃. Conclusively, we used the absorption curves to demonstrate the absorption kinetics. M. C. Shih, “Kinetics of the batch adsorption of methylene blue from aqueous solutions onto rice husk: effect of acid-modified process and dye concentration,” Desalination and Water Treatment, vol. 37, no. 1-3, pp. 200-214, January 2012. A. Sonune and R. Ghate, “Developments in wastewater treatment methods,” Desalination, vol. 167, pp. 55-63, 2004. C. I. Pearce, J. R. Lloyd, and J. T. Guthrie, “The removal of colour from textile wastewater using whole bacterial cells: a review,” Dyes and pigments, vol. 58, no. 3, pp. 179-196, 2003. T. Robinson, B. Chandran, and P. Nigam, “Studies on desorption of individual textile dyes and a synthetic dye effluent from dye-adsorbed agricultural residues using solvents,” Bioresource technology, vol. 84, no. 3, pp. 299-301, Septemer 2002. M. Otero, F. Rozada, L. Calvo, A. Garcıa, and A. Moran, “Kinetic and equilibrium modelling of the methylene blue removal from solution by adsorbent materials produced from sewage sludges,” Biochemical Engineering Journal, vol. 15, no. 1, pp. 59-68, July 2003. W. X. Qi and H. Yan, “Study on Adsorption of Methylene Blue (MB) on Bamboo Charcoal [J],” Zhejiang Chemical Industry, vol. 3, p. 009, 2007. D. Ghosh and K. G. Bhattacharyya, “Adsorption of methylene blue on kaolinite,” Applied clay science, vol. 20, no. 6, pp. 295-300, 2002. M. S. El-Geundi, H. M. Ismail, and K. M. E. Attyia, “Activated clay as an adsorbent for cationic dyestuffs,” Adsorption Science & Technology, vol. 12, no. 2, pp. 109-117, 1995. A. Brack and E. Schmitt, Cationic dyestuffs, U.S. Patent No. 3,959,310, 1976.